AHAVA Essential Moisturizing Lotion Broad Spectrum SPF 15. This special day cream is driven by OsmoterTM, an ultra-moisturizing blend of minerals extracted from the Dead Sea. The innovative formula is a lightweight, rapidly absorbed lotion imbued with AHAVA ComplexTM, a mixture of rare plant extracts that wards off environmental hazards. 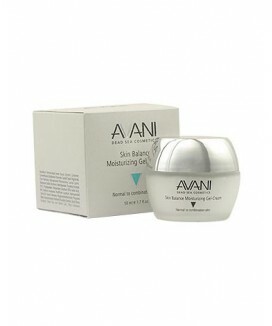 The added Broad Spectrum SPF 15 helps protect the skin against UV damage and premature aging. Size: 50 ml / 1.7 fl. oz.